Fragrance direct is an online retailer of fragrances, cosmetics, skincare and haircare products. Specialised in branded, discounted perfumes, aftershaves, cosmetics, hair care, skincare, cosmetics and beauty products. It could be a great alternative to larger high street shops' websites. Are you thinking of shopping at FragranceDirect.co.uk? Then read on our Fragrance Direct UK review. How comes it's so cheap? Involved in direct sales since 1993, Fragrance direct owes its success mostly to the ability to offer products at great prices. Being there no shop or middlemen, products are supplied directly to the customer, therefore keeping prices highly competitive. As soon as you log onto the homepage, you are welcomed by an arrays of promotions and special offers. Plus, the whole site is really easy to navigate and gives you different options: chose what brands, categories, or trends you would like to explore, and just get browsing. The prices are definitely cheaper compared to other retailers, right now for instance you can grab a Calvin Klein Downtown gift set for £19.95, an average of 15% less than Debenhams or Scentstore, while other products may not be easy to find somewhere else, and when they do they can cost up to 50% more –see JoopGo Eau de Toilette Spray 100ml, available at FD for £19.95. However, Fragrance Direct famously gets mixed customers' reviews, which can actually put off prospective buyers. But when you take a closer look at these, it appears that the most dissatisfied were those using customer service. Indeed, 90% of the bad reviews come from buyers appalled by the way they were treated by the customer care staff, or the company policy as a whole. A typical bad Fragrance Direct review may be triggered by delays in dispaching items, or difficulty in tracking them once dispatched - apparently a matter on which customer service is not much sympathetic. On the other hand, there are a pletora of loyal customer who swear they have been shopping with Fragrance Direct for years and never had a problem – rather, fully enjoying the discountedprices sound and original products, as well as a fast delivery service. One thing in for sure: all those who had to deal with the customer service gave a very negative rating. I suspect that, be a problem big or small, it is only made worse by the apparently appalling quality of their customer care. Maybe, working on improving that alone would secure a much better Fragrance Direct review, which ultimately would led prospect customers to buy ontheir website without fear. 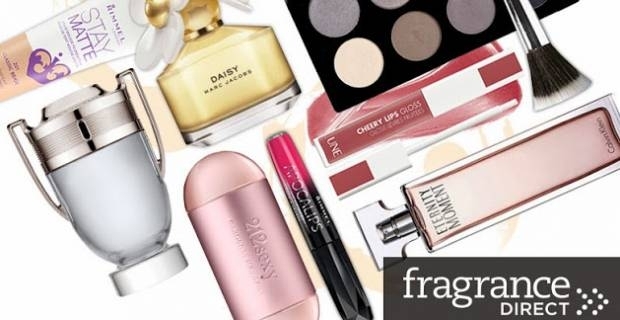 Overall, we give FragranceDirect.co.uk the thumbs up - it's worth giving it a go.